Please note that this book is aimed at newbies to the real estate investing field. It’s aim is to provide a guideline of the important aspects of real estate investing that you need to consider before you start actually buying investment property. This book is not about one of those latest real estate investing fads that will get you $10,000 in two days with no money. Oh no, nothing as exciting as that. This book is all about those boring things that nobody wants to talk about. The nuts and bolts which will provide you with the foundation to ensure your property investing success. Topics covered include who you need on your real estate investing team, what sort of legal structures you should consider, what type of property investor you want to be, and even some motivational comments from successful investors. 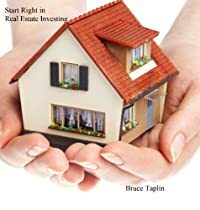 The book is written in an easy to understand way which will keep you interested because, let’s face it, a lot of this stuff is boring, but it is necessary if you want to start out right in real estate investing.